An NSW Lot Owner is wondering what they need to know about buidling defects ready for the first AGM. Leanne Habib, Premium Strata provides the following response. Question: What should lot owner’s know at the First AGM regarding building defects? Do we need to know about enforcing statutory warranties? My son recently bought a new top floor unit in a 3 storey new complex. We settled late 2018 and had found several defects which we emailed to our conveyancer to send onto the developer’s/vendor’s solicitor. It was close to Christmas and tradesmen went on holidays. None of the defects were rectified until mid-Jan when workmen returned to work. It took numerous text, emails, calls to the developer who told us that we should contact his builders, who told us that it is not their responsibilities to get some of the defects done. My son did not move into the unit until 1 1/2 months after settlement. We are having the first AGM soon and we have a lot of questions regarding the developer’s responsibilities and our rights as the purchaser in this complex to ensure that it is minuted in the minutes. What should lot owner’s know at the First AGM? Does the developer continue to be responsible for any defects for the next 6 years according to the NSW Home building Act so that expenses do not come out from the owners corporation? Having dealt with both the developer and builders for the last 2 months we found them to be very doggy and we want to ensure that their dogginess is not going to impact on the owner’s corporation’s funds. Answer: The owners corporation needs to enforce the statutory warranties – depending on the contract date for the works. The system is based on self- help. The owners corporation needs to enforce the statutory warranties – depending on the contract date for the works, the owners corporation may have 2 year/6 years warranties for non-major and major defects respectively. The Owners Corporation will need to engage expert specialists to assist in determining the nature of each defect, this will report will assist with negotiations and legal proceedings if negotiations are unsuccessful in addition to properly determining a core list of defects within the building. Of course, if the developer was “honourable”, then they would be fixing the defects at their own costs but in some cases, it does require an owners corporation to take legal action to enforce its warranty rights. This post appears in Strata News #237. NSW Building Defects Bond Scheme. What do Strata Managers Need to Know? 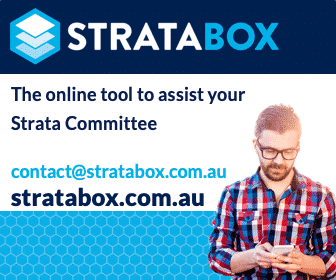 Visit Strata Building Defects OR NSW Strata Legislation.